Tara Platt and Yuri Lowenthal are an acting, writing, producing trifecta of awesome! They also happen to be husband and wife. Tara is known for her roles in movies like The Call (Brad Anderson, 2013) and Tales from Earthsea (Goro Miyazaki, 2006), as well as voicing video games such as League of Legends (2009) and Guild Wars 2 (2012). Yuri is best known for voicing the title character on the Cartoon Network series Ben 10: Alien Force (2008) as well as the prince in Ubisoft’s Prince of Persia: The Sands of Time (2003) video game. The pair also have a strong YouTube presence, producing shows like Shelf Life and appearing in geek royalty Wil Wheaton’s Table Top for the Geek & Sundry channel. If this wasn’t enough for this talented twosome they also wrote a book on voice acting. The pair was kind enough to grant a quick interview about their experience at this year’s San Diego Comic Con, what’s coming up for them, and a few fun personal notes. John Speas – I could tell by your self-proclaimed “tweetstorm” that you both seemed to have a really great time in SDCC (and the zoo!). What were some of the highs and lows of the event for you two? Tara Platt – Well I definitely liked that this year since we had a *slightly* thinner schedule, we were actually able to take some of the time we were down in SD and play hooky from the con – as you probably saw from the pix, we went to the zoo, and got to see the animals! It was a delight! Of course the low is always missing seeing people that you mean to connect with; it is such a massive event and it just seems to keep growing that it is almost too unruly nowadays. 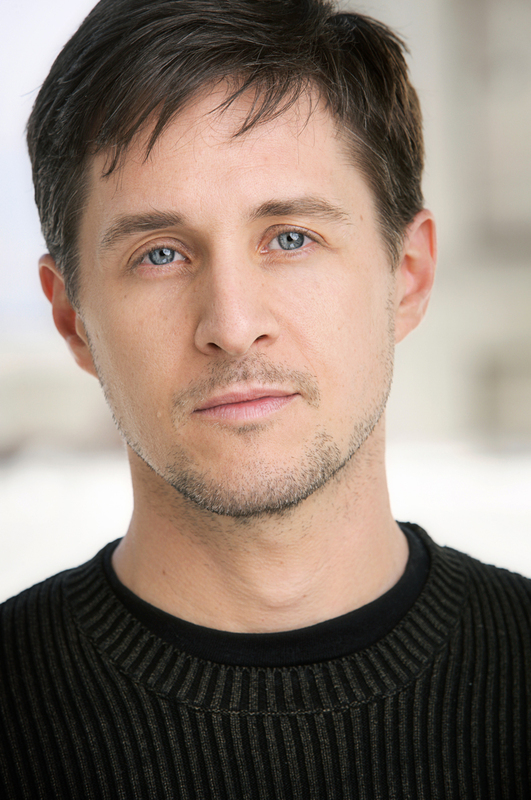 Yuri Lowenthal – Yeah, it was a lighter year for us, and while I was a con-goer before we even got into this business and love it mightily, it was nice to relax a little and even play hooky for a bit. As long as we make the Geek & Sundry party every year we’re golden. Let it be said (again) that Felicia Day knows how to throw a dance party. Also, SDCC is the one week every year where all my friends that I work with but don’t get to hang out with often enough, and all the people I WISH I were working with are all in the same place at the same time. John – Was there any cool cosplay that caught your eye? Did anyone cosplay as one of your characters? Tara – Yes! I am always fascinated and awed by the skill and talent that goes into cosplay. And this year, for the first time, instead of people coming up and cosplaying as animated characters from various video games/cartoons, this time, someone came up as Hero Lass, from our live-action comedic webseries Shelf Life. It was humbling and thrilling to see her! Yuri – Let’s be honest, checking out the amazing cosplay is half the reason any of us go. I always get a thrill when I walk by someone cosplaying one of my characters, especially because they rarely, if ever, recognize me. Sometimes I’ll ask to have my pic taken with them and still won’t tell them. This year one of my favorites was a vet who had lost his leg up to his hip cosplaying the Terminator, with his whole prosthetic exposed. John – What panels/events did you participate in this year? Tara – Luckily it was a lighter year, in fact we almost didn’t come down, but we had a signing and several meetings, but no actual panels which was a first since we have been coming down. Yuri – Panels? What’s that? OH, RIGHT… I remember back in the day, when you didn’t have to line up hours (days) in advance I used to go to those. Kidding. Sort of. I rarely go to panels I’m not on just because I don’t have the time to wait to get in, but I do stop into friends’ panels when I can. If you’re around late enough on Sunday, Starship Smackdown is an absolute must. We missed it this year because we bailed early to get high tea in San Juan Capistrano on the way home, and I’m a little sad about that. But we were continuing our hooky streak. John – It sounds like the parties at SDCC can get pretty epic. Did you attend any memorable parties this year? Tara – Indeed we did. Felicia Day and the Geek & Sundry party always know how to have the best time. And the dance floor there is madness. We also hit several other winners like the Nerd HQ and the Marked Men V/Game of Thrones party on the deck of the pirate ship. Yuri – See my response to 1) but also what Tara said. John – What other conventions will you be attending this year? Tara – We have already hit several, including SupaNova in Australia (Sydney & Perth), Alma Con in Michigan, AnimeMatsuri in Houston and then this month we have AnimeFest in Dallas, and then SacAnime in Sacramento, and AkiCon in Seattle. John – So I understand there’s a short you both wrote based on a steampunk story Yuri wrote for Tara . Can you tell us a little about it and when we can expect to see it? Tara – Yes, it was actually based on a character that Yuri created for me called Topsy McGee, then we went back and forth about story ideas for her, and I drafted the script for Topsy McGee VS the Sky Pirates. Yuri kindly rewrote it for me, as I am a great first-drafter, but he is a wonderful story editor and polisher. We ended up with a delightful short silent film which is still in post, but the trailer is going up at the end of this week. I am super excited about it! Plus we are working on another serial story for Topsy and Sean (McGee) that will be a graphic novel so there is a lot in the works. Yuri – Yes, I have little else to add except that Tara is a genius and makes a terrific Victorian adventurer. Also she looks smashing in all her costumes. John – Are you both fans of steampunk? What about it do you enjoy? Tara– I think we are both fans of fun, and storytelling inside a wonderfully built world, be it sci-fi, fantasy, historical or future, and of course steampunk falls so nicely into that. For me it is all about world building and the adventure of exploring and playing within that aesthetic with strong characters who can question the world around them. In terms of why I love steampunk it is filled with delightful contraptions on an aesthetically delicious Alt-Vic timeline so what could be better? Yuri – Yeah, I was always a fan of Jules Verne growing up, and Steampunk really brings together a lot of things I love all at once: adventure, early technology and innovation, Victorian dress, and British imperialism. John – I really enjoyed your web mini-series 935: A Nazi Zombies Series. Can we expect more from Tank Dempsey in the future? Yuri – Great! We had a lot of fun making it with director Jake Akuna, and are super proud at the way it came out. To answer your second question: Yes and no. Let’s just say that Activision owns Tank Dempsey, but they don’t own Nazis or Zombies. Or vampires. Or werewolves. John – You’ve seen some great success with your web series, Shelf Life, which has been on for four seasons. Is there a season 5 in the works? Tara – Alas, 4 seasons and 48 episodes is the end of Shelf Life. But we are so immensely proud of the show, and the many wonderful talents we were able to work with on it. Not to mention that the amazing fans helped fully fund season 4, so we were able to take the show to new heights. As a thank you, we added 4 additional unaired episodes to the jam-packed bonus material on the Season 4 DVD. But there is a little something in the works that is Shelf Life related, even though the series is complete, so stay tuned for some news soon! Yuri – Yeah, it’s the thing we’ve made that I’m most proud of (don’t tell our other projects), but all good things must come to an end. That said, if a network sees it and likes it, who knows? John – Are there any other new projects you’d like to tell us about? Tara – Ha! All of them. We both continue to work like mad as voice actors, which is great, but we are turning our attention back to our neglected film careers as well. Our production company Monkey Kingdom Productions is currently negotiating a distribution deal for our second feature film Con Artists – a mockumentary about the convention scene, which we are in along with the many guests and fans of the 11 conventions we went to over the year of filming! News on that soon. We are also starting to prep the docket for our next feature film and are working on several scripts, since we are a production company to produce our own material. Yuri – Yes, we are not at a loss for ideas and things we’d like to make. Only at a loss for hours in the day. John – So now that we got the important stuff out of the way, how about a few questions for fun. If you could star in a re-make of a classic film, who would you want to play? Tara – The Big Sleep, Bogey & Bacall…. Especially in light of hearing of her passing yesterday. Yuri – I’m with Tara on that. Unfortunately if it’s a film I love, I’d hate to remake it. It’d inevitably lose everything I love about it. We’d make a hell of a pair, though. Tara’s pretty fatale. John: – What’s your favorite show on TV right now? Tara – Errr. Through the Wormhole. I’m looking forward to checking out some of the new fall lineup though! Yuri – There’s too much to keep up with! I’m behind on Doctor Who, Sons of Anarchy, and I haven’t even started Hannibal yet, despite it being highly recommended to me. The first episode of Penny Dreadful was hugely promising, and then… the rest of it. The last thing I watched that I couldn’t get enough of was GoT. I watch more TV than Tara. John – What bands/musicians are you listening to? Tara – Young Beautiful in A Hurry, Ida Maria, Katzenjammer. Yuri – Thirty Ought Six, Mike Doughty, Bear McCreary, Gogol Bordello, The Kaiser Chiefs, Malcolm Kirby, Jr, The Petrojvic Blasting Company and the Pacific Rim soundtrack over and over and over again. John – What foods/restaurants are your favorites? Tara – Healthy! We have several vegan spots in LA that we love, Real Food Daily, Sage, Café Gratitude, but when we step out, we love a good meal made with love and tasties! I don’t think there are any kinds of foods we don’t like – Japanese, Ethiopian, Moroccan, Mexican… so many choices! Yuri – Yeah, and any place that serves a good brunch. I’m a brunch whore. John – What’s the best/worst part of working with your spouse? Tara – The best is the easy access to them/trust them to hold up their side of the burden, the worst is it getting in the way of the fun of a relationship. It is all a balance. Yuri – Yeah, when we come home from work, that’s when the real work begins on our own stuff. When we want to get away, we REALLY have to get away. John – Thank you so much for your time! Tara and Yuri can also be found on Twitter at @taraplatt and @YuriLowenthal respectively.